It’s Saturday afternoon and I’m sat in Starbucks. I’m writing this as i’m taking a break from reading about bridging doses of dalteparin. This isn’t unusual and i’ve grown accustomed to reading as much as much as possible, it is pretty normal now. It sounds unappealing doesn’t it, but i’m actually enjoying this course a lot. I’m even writing this with a smile on my face. The transition from thinking I know a few things about drugs, to actually knowing enough to prescribe them has been somewhat traumatic. The sheer vertical rise of the learning curve has been exhausting and at times overwhelming. Thankfully i’ve clambered my way through most of the coursework to reach a moment where I feel like i’m in control of the workload. Now I can reflect on my journey so far. One thing I will say is that I can feel my clinical practice changing. Even though I still have plenty of learning to do, coursework to complete and a hefty exam to pass, I have already begun to change my approach to assessment and treatment. But that comes at a cost. I’m in an awkward phase where I lack confidence in my knowledge and perhaps I feel insecure in my understanding of something i previously had a good grasp on. I came across this tweet last week and it sums up how i’ve been feeling lately. Where on the graph do think you are? I think some of this insecurity is from an enhanced awareness of how the physiotherapy treatments I choose affect treatments my patients are simultaneously receiving. It is important to remember that physiotherapy treatment is not standalone. It is affected by, as well as influences other treatments a patient is concurrently receiving. As a profession we sometimes forget this and it upsets me. If you don’t have an understanding of where your treatment sits in an overall management plan and how it will affect an individual as a whole, are you sure you’re giving them the best possible outcome? Well this sounds great but what are you talking about? For those of you that aren’t familiar with the term ‘non-medical prescribing’ or NMP, the term is used to describe any prescribing done by a healthcare professional other than a doctor or dentist. In my case, a Physiotherapist. Once you have completed an accredited course and have passed the exams, coursework, 90 hours of supervised practice and are then deemed competent and safe to prescribe by your DMP (Designated Medical Practitioner – a Registrar or Consultant) you will have an annotation made to the HCPC register which means you are allowed to begin prescribing. In the UK physiotherapists are only permitted to prescribe drugs related to the individuals specialist area of practice (for me this is geriatrics). To be very clear about this; the NMP course enables you to prescribe medicines within your chosen field only. The entire course is geared towards this. All of your submitted coursework and log of practice has your specialism as the focus. If you don’t have a specialist area then this course isn’t for you until you find one. I frequently get asked the question, “…but what will you prescribe?”. This answer is neatly provided by the CSP in guidance PD026..
“The physiotherapist independent prescriber may prescribe any licensed medicine from the BNF, within national and local guidelines for any condition within the practitioner’s area of expertise and competence within the overarching framework of human movement, performance and function. They may also mix medicines prior to administration and may prescribe from a restricted list of controlled drugs as set out in Regulations. – CSP Practice Guidance for Physiotherapist Supplementary and/or Independent Prescribers in the safe use of medicines. (3rd Edition). It may sound counter intuitive but in reality I may well end up stopping more medicine than I start. This is because of polypharmacy and the many medicines which are bad news for elderly people. These may include medicines which contribute to falling over, analgesia which is used or prescribed in an inappropriate way, and those meds which are just plain bad for people living with frailty. As you can imagine, saying you are likely to end up stopping more meds than you start is largely met with a unsatisfactory look. This is probably because it isn’t ‘exciting‘ but it is, it fills me with a lot of excitement. Enabling an individual living with frailty, and the burden of age, to take control of their health is a great problem to face. Exercise and physical activity comes with a lot of benefits to our elderly population and in many cases offers a better outcome than taking meds, take urinary incontinence as an example. Obviously there are times when starting a new medicine is appropriate such as bone protection or analgesia but on balance stopping is more likely to happen than starting. Anyway that’s enough rambling, time to get back to reading about anti-coagulation! 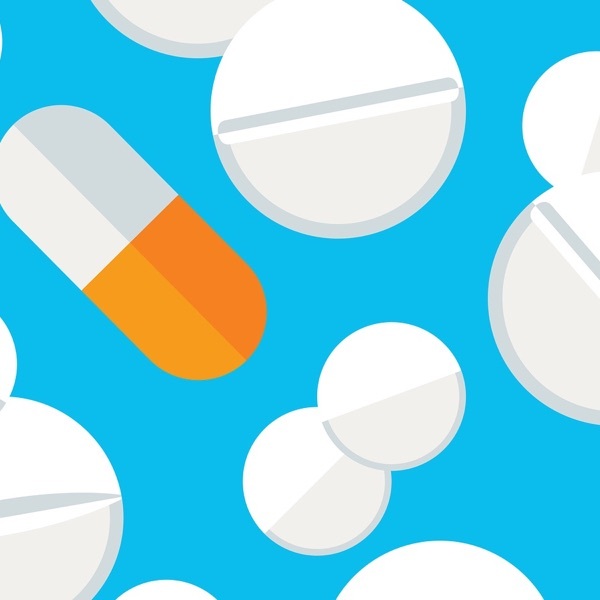 This online course will review different pharmacological pain management drugs including the actions and side-effects that are important to understand as a practising physiotherapist.